Mount Pleasant Police Department Looking For Suspect Darryl Nicholas Evans In Reference To A Shooting | Crime Stoppers of the Lowcountry: 554-1111 | 1-888-CRIME-SC | Anonymous tips earn cash rewards with Crime Stoppers of the Lowcountry. 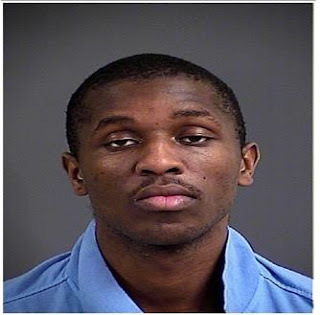 Mount Pleasant, SC – The Mount Pleasant Police Department is searching for Darryl Nicholas Evans, II in connection to a shooting that occurred on April 6, 2016. Darryl Evans is wanted for Attempted Murder and for Possession of a Weapon During the Commission of a Violent Crime. The suspect is believed to have ties in downtown Charleston. During the investigation it was revealed that this shooting was not random as the victim was the intended target. Darryl Evans is a black male who is 6’00” tall and weighs 240lbs. He should be considered armed and dangerous. If you have any information as to the whereabouts of Darryl Evans, please contact 843-884-4176 or call Crime Stoppers at 843-554-1111.